Zero. I know! it's Kaname ... but I think it looks a bit like Zero! ;). 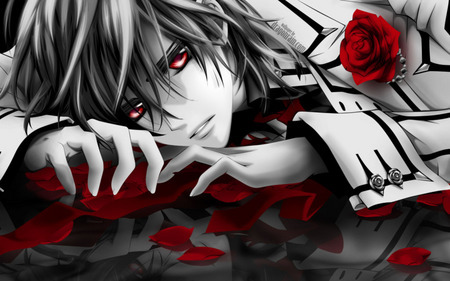 Wallpaper and background images in the वेमपाइर नाइट club tagged: kaname zero vampire knight awesome love it.